Expensive clinic visits and high vet bills – not to mention all those costly allergy medications your vet can prescribe – may be the reason why you put off taking your itchy, allergic pooch to the doctor. The constant itching and scratching can lead to hair loss, trauma, and skin infections…and, as loving pet parents, we don’t want to see our fur babies suffer. Here are 16 all-natural, inexpensive (or free) remedies available to you, some of them as close as your pantry or refrigerator. Disclaimer: This is not meant to replace the advice of your veterinarian. These are tips that have worked for Rocky's dogs. Vitamin E will work on your dog’s dry skin just like it works on your wrinkles. I like to break open a capsule and rub the oil directly on my dog’s dry, itchy areas. Not only does the oil feel good to her, but also the massage action warms her muscles and helps the Vitamin E penetrate faster to problem areas. Ground oatmeal poured into a bath or a shampoo, is an age-old remedy for itching, inflamed skin. You can either use the baby oatmeal cereal found at your local grocery store or grind it yourself in your food processor or coffee grinder. Your dog will love sitting in a warm bath containing oatmeal because it brings immediate relief to irritated area. Alternative- buy colloidal oatmeal shampoo and conditioner all ready mixed and ready to go. CBD Oil -It naturally helps reduce inflammation in all parts of the body, which can reduce the symptoms irritation and itchiness. In addition, it helps reduce a dog's anxiety and calms them. Many times dogs work themselves into a frenzy with the constant scratching. CBD oil can reduce this. 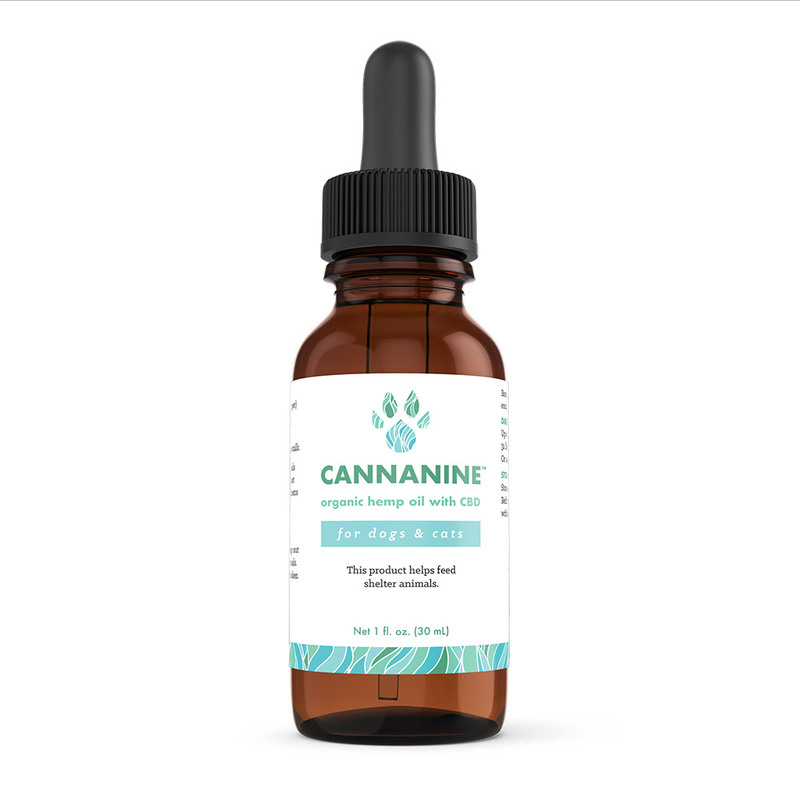 To learn more about this new holistic oil that's exploding in popularity, visit our recommended brand.Cannanine. Exercise. Believe it or not, exercise is one of the best ways to get a dog to forget about their itchy skin. When they're playing and romping about, their mind is distracted and they don't have time to worry about their itchy skin. So, go out on walks, let your dog out more to play, go to the dog park go on walks. No time for long walks? hire a dog walker. It's easy. If you have a phone, download an app like Rover and you can hook up with a dog walker. But, for your own peace of mind, get a GPS tracker for your dog, that way if you're at work and the dog's with the dog walker you'll know EXACTLY where your dog is. Our favorite GPS tracking device is the one from Whistle. Epsom salt soaks and heat packs can reduce the swelling of itchy paws and inflamed sores. A bath of warm water and Epsom salt also speeds up the healing time for any small, open sores, particularly when combined with veterinary antibiotics. Eucalyptus – Steep 1 teaspoon dried eucalyptus (or 2 tablespoons of fresh eucalyptus) in a pint of boiling water for 10 minutes, covered. Allow the eucalyptus water to cool to body temperature and pour it over your dog after her final rinse. Rub the mixture in and towel her dry without further rinsing. The eucalyptus in the conditioner repels fleas while promoting a soft, glossy coat. Alternative: Buy a an all natural eucalyptus shampoo that’s already mixed and ready to go. Hint- make sure that it’s real eucalyptus essential oil, and not a fragrance. Note: Under no circumstances should your dog ingest eucalyptus. This is only recommended for topical use in moderation and under supervision. As with all products your pet may have allergies or react to different products in different ways. Please consult your vet before using. Dry Shampoo – If your pooch hates getting into the water, an all-natural dry shampoo can keep her skin healthy and coat smelling good. Spread ½-cup to 1-cup of whole bran, uncooked oatmeal, or cornmeal on a cookie sheet and warm in the oven on low heat for 5 minutes to bring out the natural oils in the grain. Grab a handful of the grain (leaving the rest in the oven to stay warm) and rub it into your dog’s fur and skin with a towel, concentrating on the greasy, dirty areas. Then thoroughly brush the areas to remove all the grain. This dry shampoo exfoliates the skin while removing any nasty residue from your dog’s coat. Alternative: Buy an in between grooming spray that’s already mixed and ready to go. Essential Oil Shampoo – Add a few drops of eucalyptus or pennyroyal essential oil to natural shampoo or castile soap. Rinse your dog with clear water. Rinse again with vinegar-water (1 tbsp. to 1 pint warm water). This easy-to-make shampoo and rinse removes soap residue and prevents the dandruff that can result in itchy skin. Alternative: Buy a an all natural eucalyptus shampoo that’s already mixed and ready to go. Hint- make sure that it’s real eucalyptus essential oil, and not a fragrance. Natural Skin Tonic – This lemon-based tonic not only repels fleas, it works as a general skin toner for itchy pets. Thinly slice a whole lemon, including the rind, and steep it overnight in a pot of boiling water. The cooling water draws out d-limonene, vitamin C, and other healing ingredients found in the whole lemon. The next day, sponge it on your dog’s skin and let the solution air-dry. You can use the lemon tonic daily for cases of heavy flea infestation. Alternative: targeted anti-itch sprays made with essential oils and herbs that can focus on specific itchy spots on your dog and bring immediate relief to irritation and inflammation. Baking Soda- Prepare a thick paste by using a 50/50 mix of baking soda and water. Apply to affected areas of your dog’s skin, leave for 20 minutes, and then rinse off. Alternatively add one cup of baking soda to your dog’s bath water if he is itching all over. Apple Cider Vinegar- Prepare a 50/50 mix of apple cider vinegar with water, and use a spray bottle to apply it to affected areas. Aspirin Mix- Crush two aspirin tablets and mix with a small amount of rubbing alcohol (do not administer by mouth). This mixture can be applied directly to affected areas of skin using cotton wool or cotton swabs. For maximum effect, apply in conjunction with one of the previously listed remedies. Give your dog a bath – There is a common misconception that you shouldn’t bathe your dogs very often and that doing so can make skin conditions worse. Most veterinarians treat skin disease through a combination of steroids and antibiotics. But if you’re like me, you want to stay away from harsh drugs and try all natural courses of action first. The use of ’shampoo therapy’ to treat skin conditions may be the most overlooked natural therapy for dogs with skin disease. Read more about how bathing your dog can prevent itchiness. Also, here's a shampoo we love because for every purchase they donate a bath to a rescue dogs. Brush your dog every day – Who knew that something so simple and basic as brushing your dog’s coat could help to control and eliminate itchy and irritated skin. When his skin is itchy, inflammatory blood cells and chemical compounds such as histamine and prostaglandins accumulate in the affected area. These are all responsible for the reddening and inflammation that causes the itch. We like this brush glove that fits right over your hand, so it's like you're petting and brushing your dog at the same time. Read more about how brushing your dog can prevent itchiness. Feed your dog coconut oil – Every night I mix up my dogs food with some coconut oil. In the summer it’s really easy because the oil is liquid due to the hot weather. In the winter it solidifies so you have to microwave it a few seconds before putting it on your dog’s food. Coconut oil is excellent for your dog’s coat and general health. You don’t need a dog specific coconut oil, a high quality human brand will do. You can also checkout treats that have the coconut baked right in. I hope that you’ll find something that will help you itchy dog. If you know of another natural remedy we should add to this list, PLEASE list them below! I have a yellow lab. Allergies since he was a puppy. He gets shots and is on Apoquel. I found earth animal drops for allergies. I also found skin drops from Newton Homeopathic. I have him on 1/2 Apoquel and hoping to get him off. They are so expensive. Good information given. Thank you. I have a soon to be 7 year old dachshund that I adopted almost a year ago. He had two dry spots, one on his tail and a bigger one along side of his tail on his rump. He scratches so much that it drives him and me crazy. None of them are hot spots they are just bald spots. He has had this problem before we adopted him and I would like to try home remedies before looking at huge vet bill. Cleaning products you use in carpets floors.can cause severe allergys. Try cleaning only with vinegar and scrubbingbwith baking soda. What hand lotion are you using.?? ?teatree oil is deadly to dogs. Other oils to cats. What laundry detergent are you using. Worse of all is fabric softeners especially the ones that last for weeks.and air fresheners for your home all of above are not got for your pets. I have a Chihuahua also who is not liking our dry, cold VA weather. Already do the oatmeal bath, so am liking the idea of coconut oil in his food. How much should I add? Thank you so much for your great suggestions!!! I just got a 8 week old puppy and the owner didn’t bath or give flea pills. so i got him and he was covered with fleas. so now they’re all gone but they left terrible dry skin all over his little body. hopefully one of these will help. Hii my dog has an allergies between his hips and on his armpits and on stomach. Its colour red. Im very worries because its making its hair loss and she keeps on i dont know scratching it using his hands and mouth. That was increases on her face and some spots on her body. Im very worried please help me with this. HI I am so happy I have found this video! I have a german shepherd husky mix and she has the worst itchy skin I have ever seen on a dog, she chews herself raw and I have tried EVERYTHING! I really hope this works out as its so difficult to see her go through this and having to keep seeing the vet. THANK YOU SO MUCH! Hi! Great article and thank you for writing it! What are the benefits or downfalls of using coconut oil topically on my dogs skin? I’ve also learned that lemon grass (I get fresh from the Asian grocery store, cut it into 2 inch pieces after pealing off top layer and freeze the rest for soups) soaked in water overnight, just as the lemon slices you mention, is a good soothing tonic for itching and cooling the dry or irritated doggy skin as well. After reading this I’m going to try both together and infusingbwith coconut oil as a doggy lotion on the irritable areas. Everyone needs to stop any treats and stick to regular dog food for sensative skin and try to make sure there is no egg in it and possibly potatoe! Most dogs have allergies to eggs, potatoes , different meats sometime, etc. Try using half apple cider vinegar and half water in spray bottle on spots. Brush hair every day being careful of hot hurt spots. Daily apoquel helps the dog also and good outways the bad to your dog so get it if you can afford it! It does make my dog constantly walk all around until he finally gets tired and finally lays down and sleeps for awhile but not itching or in pain like he always was! If you want to give your dog a treat make sure it’s vegetable, fruit or straight chicken, fish or beef with NO BONES!!!! Good Luck! I have and am dealing with this and tried almost everything and finally getting a handle on this situation with my loving old pal for the last 2 years!!! I have 2 little Lhasa’s and one has extremely itchy skin that will get bright pink all over , Am trying out some of the ideas and made my own pet wipes, inspired by what I learned here. I brewed a tea using 2 bags of green tea and 2 bags of Chamomile tea, let cool and poured it into a large 2 cup glass liquid measuring cup. I added to that a couple Tbsp of ACV ( apple cider vinegar) a Tbsp of fractionated coconut oil ( it stays in liquid form ) and some vitamin E oil. I also added some baking soda however this may cause it to overflow and of course this recipe is a learning process. For the towels I used paper towels and reused a round container that had wet wipes in it, washed it out and using a serrated knife cut the paper towel roll to fit the container. once the towels are in , then pulled out the cardboard roll. Pour the liquid mix onto paper towels, close lid and mix it around a little. Ready set and good to go for humans or pets.. keep a set in your car.. and you’re welcome. I have a large, around 55 lbs, dog that appears to have allergies, he scratches and chews continually, has bare spots, very rd and in some areas chewed it to open sores. He will not allow a mussel or leash on him so unable to get him to a vet. He is very timid and a vet in my area will not come out to see him because he will not allow them near him. What can i do to stop the itching, chewing and overall discomfort. Is there any home remedy you can suggest. Any suggest will be greatly appreciated. I have 3 basset hounds and do not have any problems. It sounds like your dog has allergies most likely food allergies. Switch to a simple diet of ground chicken or ground turkey with some coconut oil and sweet potato or switch to an organic grain free brand of dog food. I tried the 50/50 mixture of Apple Cider Vinegar and water on my son’s itchy Corgi and it seems to be working – almost instantly……so far so good! Thank you! Marissa your dog has a yeast problem! Years ago I had female dog who got a yeast infection from antibiotics….the blue power earwash will be your best friend! And I would google ideas of how to get it out of her system. The yogurt may work or maybe even some probiotics. No way mine would ever eat yogurt. He is picky! I would try the warwash and you can try putting boric acid in boiling water and dump in the tub and soak her feet. I’ve done it before….mine hates warm water on his feet so maybe add it to cooler water so it isn’t too warm. And I like to run the earwash under warm water some to take the chill off of it. My old neighbors had a dog that had yeast sooooo badly in his ears. I would use this in his ears (outside because he would shake and it would FLY OUT OF HIS EARS)….so gross. And he would let me swab them and actually do it a few times in a row. It helped him so much that he loved to come see me! Lol. I don’t do my dogs outside I keep him in the tub. The reason I did not post the recipe is because it does stain and some sites have good ideas on the application. I make half a recipe at a time. The first time I used it, it worked so well and I had just spent $30 on a bottle of cleanser at the vet….I dumped it out and made more.i kept the old bottles to make it for others. And, yes, I asked a pharmacist if he thought it was okay for me to try and he said yes and I had a couple vets say it is ok…I’ve moved a lot and I have had a few vets will tell me not to use this…BUT YET they tell me my dogs ears look great and to keep up whatever I am doing! (Even though they know what I am using)…. can you believe some vets actually SEW dogs ears shut? !….I would like to see theirs shut!! Grrrrr! I also feed my dog natural balance limited ingredients. I only use sweet potato as a filler. My dog has been tested and he is allergic to everything!!! potatoes and sweet potatoes are different so I stick to that…. He likes sweet potatoes for a treat or a piece of leftover meat…which are cheap treats! Before I switched his food he would itch so bad, get hot spots, and dig himself raw!! This winter is gonna be a bad winter. That’s why I am searching for things to try. His back is hypersensitive! And I am looking for a natural flea solution for next year. Apoqiel worked for a few months and then it didn’t seem as effective. I use theta tears individual eye drops. They have no preservatives. I also use kenic emu oil shampoo….I have tried everything and it seems to bother him the least. I got it cheap from Jeffers online. I signed up for their email and got a coupon, used it on sale, spent $50 for free shipping….I got like 2 gallons for $50-60. LOL…when I tried it to see if it worked the first time I bought it and spent almost $20 For a bottle. (If you do that, keep the bottle so you can fill it). Everyone is different, but it took me a long time and tons of money to get to the point I am at. So I wanted to share. I look forward to trying a few new techniques so I can switch things up….and I look forward to spring cleaning this weekend ….so I can decorate for Christmas …. I have a cocker spaniel and ABSOLUTELY NO EAR PROBLEMS. Here is my trick….BLUE POWER EARWASH….google the recipe and instructions, I am not trying to write a book. The ingredients are alcohol, boric acid, Genetian violet which can be purchased at your local pharmacy. I have made it for several people and they are just amazed! After they had given up going to the vet and trying everything, this actually worked! I believe it is because boric acid kills yeast. If this doesn’t work I don’t know what will! ….Good Luck! My Yorkie Roscoe has allergies..I found coconut oil at Dollar Tree and tried that with a mixture of Apple cider vinegar & water. It worked until the weather turned cold.Now his feet are itching after going out side, so I’m going to use a mix of warmed ground oats and cornmeal. I would rather use natural ingredients.. I have a new Maltese cross rescue dog who has stomach and itchy skin issues. Commercial products don’t seem to work so I will definitely try yours. Hope you have some ideas for a very touchy tummy.I now make his meals as any dry food makes him vomit.I am slowly bringing him back to good health,thanks. Hi! What are your thoughts on Teatree oil? We used to use it on our horses if they would get irritations on their skin – our dog has got an itchy, scabby spot with some hair loss on his hind end just above his tail. We don’t see a sign of fleas – long-haired German Shepherd so it’s hard to manage that thick undercoat! Thanks for your thoughts! Thank you for the ideas! Our grand puppy ( chocolate lab) , has allergies to everything! Been using cocoanut oil to areas . I do use the tea, have used primrose oil in past , need to get more ! I am from India. My son Ooga is a pug. He suffers from severe itching and licking his paws uncontrollably the last four years. He has been on many antibiotics and creams and many medicated shampoos. However, it keeps recurring. He has been diagnosed with kidney failure now and I don’t want to put him on any more antibiotics. I am allergic to VETS now! Can you help??? Have you ever tried cedar oil with water mixture? This was recommended to repel fleas. Do you think it is better than vinegar? You can make a salve out of cococut oil (first let it get smooth-like…but NEVER melt it to liquid…heat destroys the essential properties) add NEEM and Almond Oil, aloe vera and crushed/ground lavender. You can also use silicea. Besides soothing and healing, your dog will love the taste. You can’t stop your pet from licking unless you use a cone collar. So this concoction is safe. I also have made a tea to add to her raw diet (kibble no matter what brand is not the best option). The tea has green tea, burdock, brenn nettle, dandelion and marigold. My dog itches and scratches her neck and underarm area. I go to Miracle Hill and buy children’s shirts for her. I treat her areas with vitamin e and then put a shirt on her to keep her from getting to it. I’m going to try the oatmeal bath. These are great ideas. My 5 year old border collie constantly itches and licks fur off in some areas. He does not have fleas. I started feeding him a no grain diet about a month ago and coconut oil about 2 weeks ago. I’m hoping something works Soon. And to the lady with the paw problems and around the genetils it sounds like a yeast infection. Plain yogurt is good for that. But if it doesn’t go away soon I’d see a vet. Hope everyone can get their itchy pets helped. Pray mine stops itching Soon too. I have a blue pit and the vet says that it’s not any mange but that’s it’s an allergic reaction and after I brought meds it’s not gettin any better. Which remedy should I use to help her skin, coat and fur back healthy. My dog is is about 9months old and she’s had dry, itchy ears since we got her. We’ve tried creams and wipes and other things.. but can’t seem to get it to go away. It’ll look like it’s going away and then be back full force in the morning. I can’t afford to take her in but I need to help her. Amy suggestions? This is great info. I see one poster has major issues with her fur baby. You may want to add that this is for minor itching and not major rashes. Major itching might be any number of things (food allergies, for example ), and they need a vet if they are to properly care for the pup. I have a Pomeranian that was born in 2009 and she is itching so bad so is loosing her fur and biting holes in her legs. Can I just put the coconut oil on her body? Will try plain yogurt but any one in particular ? Poor thing reacts badly to the steroids from the vet but got nothing else? Thanks for the great information. Will apply some of your hints tomorrow. My dog has an allergies between his hips and on his armpits. Its color red. Im very worries because its making its hair loss and she keeps on i dont know scratching it using his hands and mouth.. Im very worried please help me with this. Great ideas!!!! Great variety for different dogs personalities. THANK YOU!